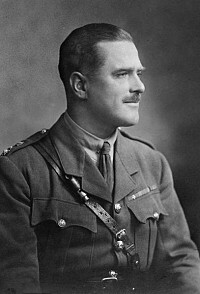 On the 25 April 2015 at 11am, Woking honoured and remembered one of the outstanding heroes of the First World War, Major Richard Willis VC in a special service and ceremony exactly 100 years to the day since his heroic action. From 4 August 2014 and culminating on Armistice Day 2018, there will be major local, national and international commemorations marking the centenary of the First World War, which will focus on the millions of people affected both as combatants and on the home front. This page outlines the local commemoration projects and events taking place across the area during this period and it will be updated regularly to highlight the Borough's and significant neighbouring events. For those wishing to research the history and/or search for people associated with the war, this page also lists some useful links and research resources available. 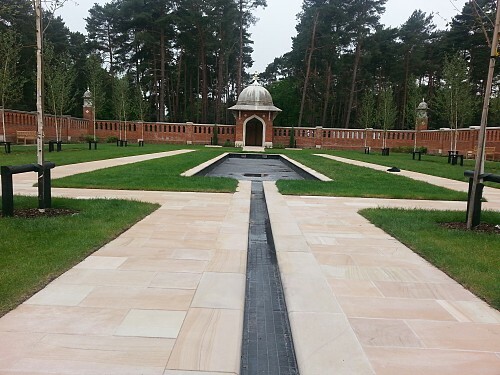 On Thursday 12 November 2015, His Royal Highness The Earl of Wessex KG GCVO, officially opened an Islamic-style Peace Garden at the beautifully restored Muslim Burial Ground in Horsell Common. The site that was once the final resting place of 19 Muslim soldiers from the Great War, and a further eight casualties of the Second World War, has been restored to its former glory to create a lasting legacy for the 27 servicemen who paid the ultimate sacrifice to defend Britain. The four-year restoration project of this Grade II listed structure celebrates the Borough's relationship with the Shah Jahan Mosque, the first purpose-built mosque in the UK. The site will be used as a garden of peace and remembrance, provide a focal point for future acts of commemoration and be a future heritage site for those living or visiting Woking. Find out more information about this important site here. Free exhibition from 20 May until 19 November 2017. The Canada Building, Brookwood Cemetery, Surrey, GU24 0JB. Open 7 days a week from 10am to 4pm. Closed on 23 May 2017. Nearest train station Brookwood. To commemorate the centenary of the First World War and those who fell from within the Borough, communities have worked together to adorn local lampposts, trees, road signs and more, with large, striking poppies. In the lead up to the centenary, Woking Borough Council bought a limited number of the poppies from the Royal British Legion and provided a small stock free of charge to interested community groups. The First World War in Surrey, including research guides, educational resources and special events and projects, here. Volunteering opportunities involved with the First World War projects here. Funding opportunities for the First World War projects here. Links to other local and national organisations associated with the First World War here.